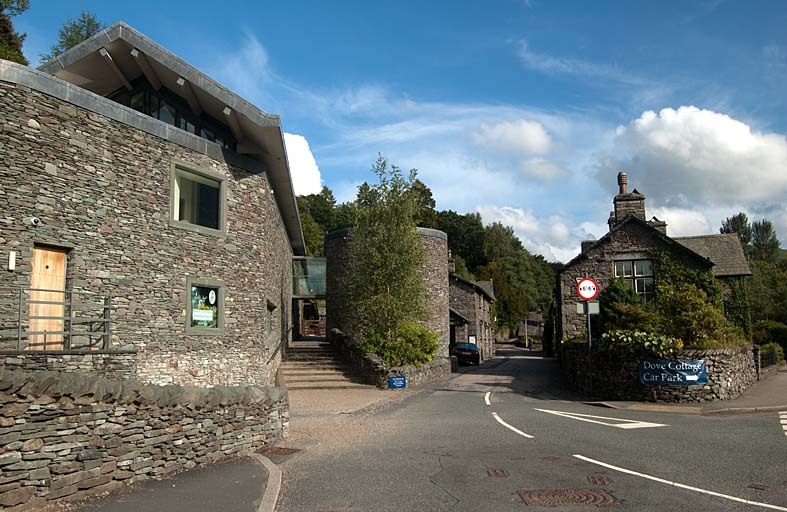 The Jerwood Centre, on the left, was completed in 2004 to house house the Wordsworth Collection. Rose Cottage is the building on the right. Dove Cottage is out of sight further along the road between. Smaller version of this picture.